Patricia Fenton, 93, died March 27, 2015 at The Devon Senior Living in Devon, PA. Pat was born in Brattleboro, Vermont on February 12, 1922. Her parents were the late Edward J. Fenton and Mary Frances (Higgins) Fenton. Her siblings—Edward J. Fenton Jr., Cordelia Frances (Fenton) Biddle and Mary Katherine (Fenton) Hooper—died before her. 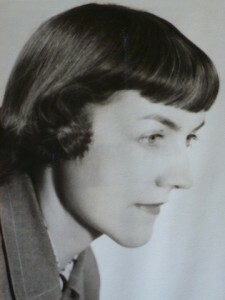 Pat graduated from Brattleboro High School in 1939 and attended the University of Kentucky, with additional studies at New York University and the Alliance Française in Paris. A longtime resident of Washington, DC, she served in the U.S. Navy with the WAVES in World War II and later was a public information specialist with the U.S. Department of Labor and the President’s Committee on Employment of the Handicapped. She also held writing and editing positions in the private sector, including with Better Homes and Gardens magazine. She began her writing career at age 17 as a stringer in Brattleboro for the Springfield Republican. Pat’s hobbies included tennis, sailing, snorkeling and international travel—especially to Ireland and Curaçao. She is survived by nephews Livingston L. Biddle IV and Jonathan Hooper and nieces Cordelia Frances Biddle and Susan Hooper, along with five great-nephews, two great-nieces and two great-great nieces. Donation in her name may be made to Washington National Cathedral or Doctors Without Borders. My condolences to family & close friends. May each of you cherish fond memories and be comforted from the Word of God. Share in his promise at Acts 24:15. I’ve known Pat Fenton for many years: as an active member of our sailing club, DICF, as a consistent and generous Leukemia Cup Regatta supporter, as a knowledgeable traveler, as a part of Washington DC history and as a willing volunteer. My sympathies to her family. She will be missed! Thank you so much for your condolences and for sharing your wonderful memories of my aunt, Pat Fenton. She had a rich and fascinating life, and she was a role model for me in so many ways. Thank you again for your friendship with my aunt and for taking the time to enrich our memory of her by leaving a comment.